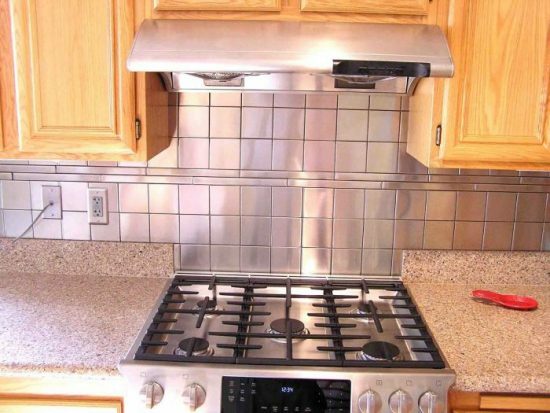 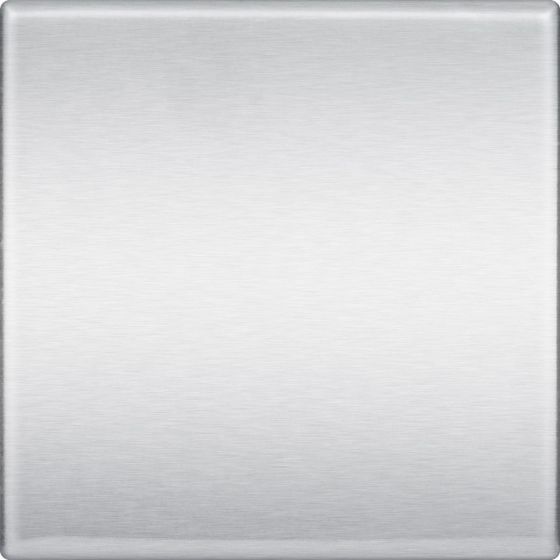 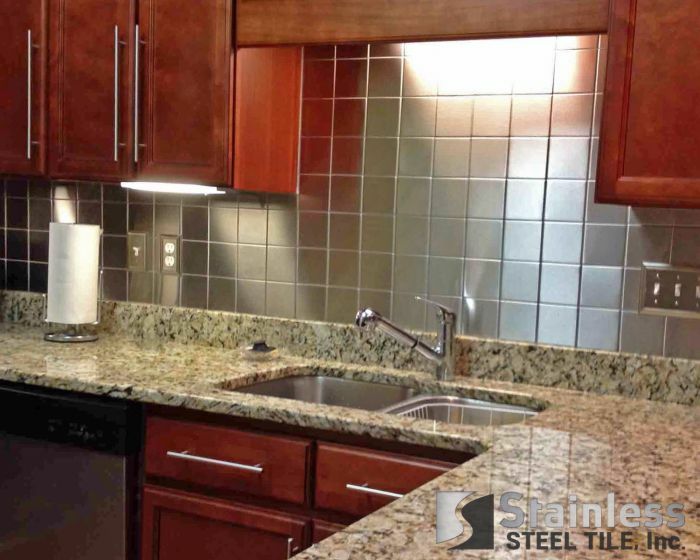 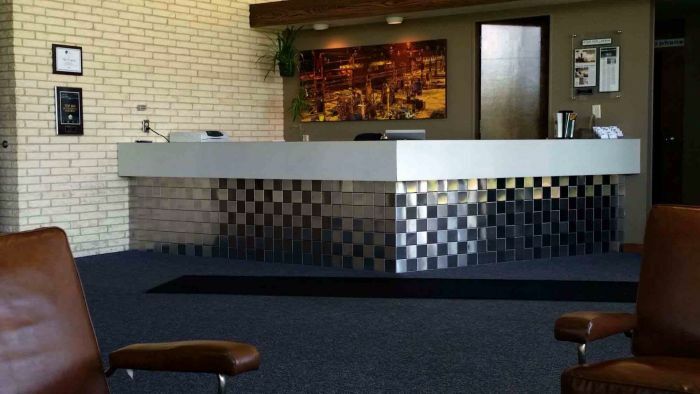 The 4 x 4 Stainless Steel Tile is Proudly made in the USA. 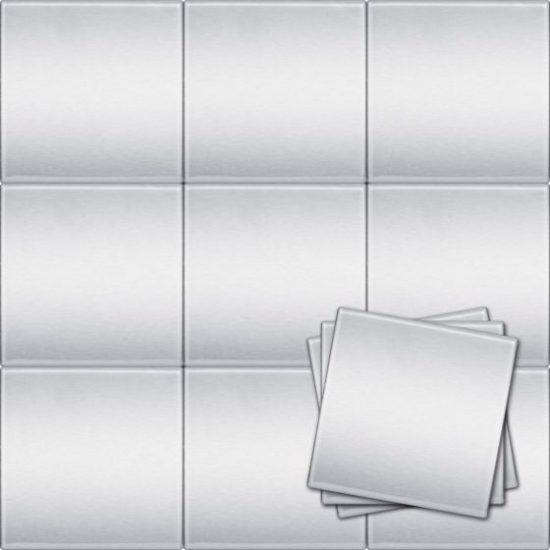 (Actual size: 4″ x 4″) Always popular, it is very versatile because it can be installed in many ways. Just by changing the orientation of the grain, you can create designs such as checkerboard, horizontal or vertical stripes and more. Turn the grain 90 degrees on every other tile to create the checkerboard effect, for example. 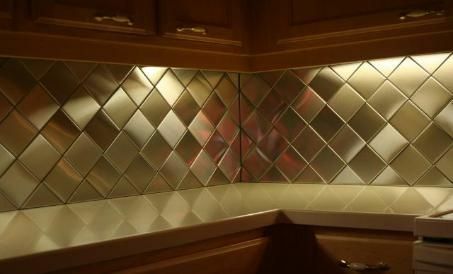 For a spectacular effect, alternate every other tile in a row with the 4 x 4 Accent 3D. You can also install them on point or on the diagonal (see photos to the left). We have a triangle tile that works well with the 4 x 4 so you can limit the cutting required and make installation a snap. 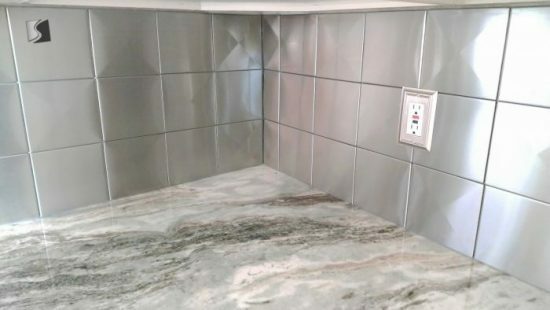 If you need information on how to cut the tile, check out our YouTube Video on How to Cut Stainless Steel Tile. The 4 x 4 also serves as a half tile for the 4 x 8.